Last weekend I accompanied a client on a trip to a wildlife rescue centre near Canberra. On Saturday morning – around 4.30am we abandoned a nice warm bed to view the 2018 July Lunar Eclipse – you might have heard something about a “blood moon” – well that was it! It’s hard to describe the strange beauty of seeing the full moon slowly, slowly eaten away by the earth’s shadow. Fading away from its silver brightness to a dull orange/red. It was a humbling experience – a demonstration from nature of just how tiny we are – which I think, is a good thing to be reminded of occasionally. I didn’t have the appropriate camera gear with me to take a good quality photo of the blood moon, but I did take a shot with my phone. 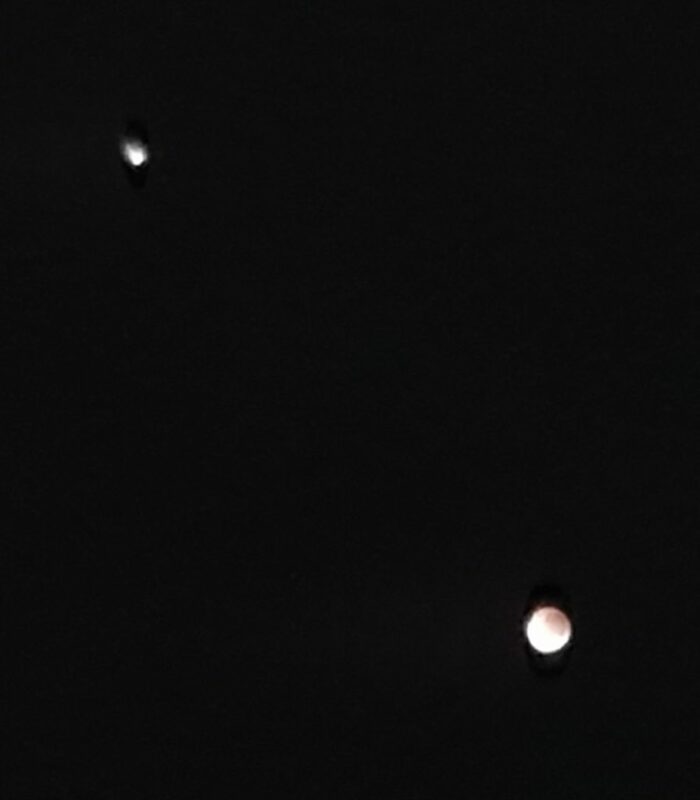 You can see the moon bottom right with Mars in the background naming an appearance! And another larger view. 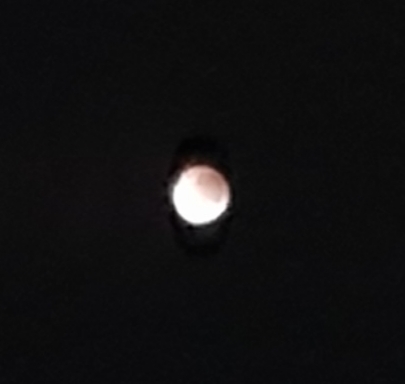 You can see the red colour bleeding into the face of the moon from the right as the shadow deepened.